Distinctions must serve a purpose and be assessed accordingly. On that account, what would be the point of setting apart data and information, and on what basis could that be done. Until recently the two terms seem to have been used indifferently; until, that is, the digital revolution. But the generalization of digital surroundings and the tumbling down of traditional barriers surrounding enterprises have upturned the playground as well as the rules of the game. Previously, with data analytics, information modeling, and knowledge management mostly carried out as separate threads, there wasn’t much concerns about semantic overlaps; no more. Lest they fall behind, enterprises have to combine observation (data), reasoning (information), and judgment (knowledge) as a continuous process. But such integration implies in return more transparency and traceability with regard to resources (e.g external or internal) and objectives (e.g operational or strategic); that’s when a distinction between data and information becomes necessary. Understood as a whole or separately, there is little doubt that data and information have become a key success factor, calling for more selective and effective management schemes. Being immersed in digital environments, enterprises first depend on accurate, reliable, and timely observations of their business surroundings. But in the new digital world the flows of data are so massive and so transient that mining meaningful and reliable pieces is by itself a decisive success factor. Next, assuming data flows duly processed, part of the outcome has to be consolidated into models, to be managed on a persistent basis (e.g customer records or banking transactions), the rest being put on temporary shelves for customary uses, or immediately thrown away (e.g personal data subject to privacy regulations). Such a transition constitutes a pivotal inflexion point for systems architectures and governance as it sorts out data resources with limited lifespan from information assets with strategic relevance. Not to mention the sensibility of regulatory compliance to data management. The top left corner is where business models and strategies are meant to be defined. The top right corner corresponds to traditional data or information models derived from business objectives, organization, and requirement analysis. The bottom line correspond to analytic models for business (left) and operations (right). Horizontally (same nature), e.g requirement analysis (a) or configuration management (b). With source and destination at the same level, the terms employed (data or information) have no practical consequence. Vertically (same scope), e.g systems logical to physical models (c) or business intelligence (d). With source and destination set in the same semantic context the distinction (data or information) can be ignored. The digital transformation makes room for diagonal transitions set across heterogeneous targets, e.g mapping data analytics with conceptual or logical models (e). That double mix of levels and scopes constitutes the nexus of decision-making processes; their transparency is contingent on a conceptual distinction between data and information. Data is used to align operations (systems) with observations (territories). Information is used to align categories (maps) with objectives. Information modeling supporting operational assessment. Not by chance, these distinctions can be aligned with architecture layers. Blending data with information overlooks a difference of nature, the former being associated with actual instances (external observation or systems operations), the latter with symbolic descriptions (categories or types). That intrinsic difference can be aligned with architecture layers (resources are consumed, assets are managed), and decision-making processes (operations deal with instances, strategies with categories). The platform layer deals with data reflecting observations (external facts) and actions (system operations). The functional layer deals with information, i.e the symbolic representation of business and organization categories. 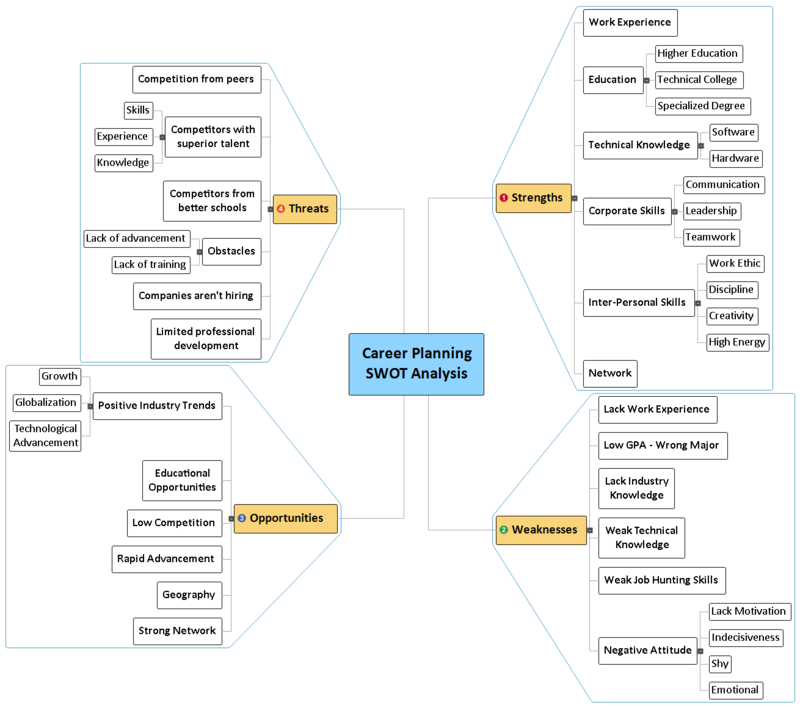 The business and organization layer defines the business and organization categories. With regard to decision-making processes, business intelligence uses the distinction to integrate levels, from operations to strategic planning, the former dealing with observations and operations (data), the latter with concepts and categories (information and knowledge). Ontologies, which are meant to encompass all and every kind of knowledge, are ideally suited for the management of whatever pertains to enterprise architecture, thesaurus, models, heuristics, etc. 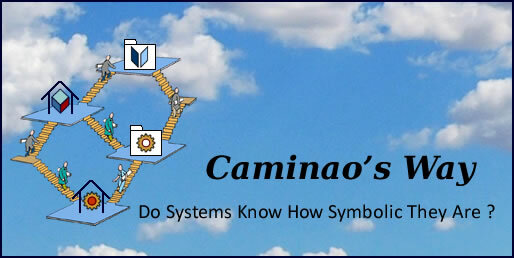 That approach has been tested with the Caminao ontological kernel using OWL2; a beta version is available for comments on the Stanford/Protégé portal with the link: Caminao Ontological Kernel (CaKe_). On one hand, it straightens the meaning of metadata, to be understood as attributes of observations independently of semantics, a dimension that plays a critical role in machine learning. On the other hand, enshrining the distinction between what can be known of individuals facts or phenomena and what can be abstracted into categories is to enable an open and dynamic knowledge management, also a critical requisite for machine learning. Artificial intelligence is generally defined in relation with the human ability to figure out situations and solve problems. The term may also put the focus on an hypothetical disembodied artificial brain. Artificial brains can build and process symbolic and non symbolic representations, respectively with semantic and neural networks. data analytics, respectively to symbolic and non symbolic representations. Like human ones, artificial brains combine sensory-motor capabilities with purely cognitive ones. Like human ones, and apart from sensory-motor capabilities, artificial brains support a degree of cognitive plasticity and versatility between symbolic and non symbolic representation and processing. These generic capabilities are at the root of the wide-ranging and dramatic advances of machine learning. The upsurge in the scope and performances of artificial brains sometimes brings a new light on human cognition. Semantic layers and knowledge graphs offer a good example of a return to classics, in that case with Greek philosophers’ ontologies. Ontologies are structured set of names denoting symbolic (aka cognitive) representations. These representations can stand at different epistemic levels: terms or labels associated to representations (nothing is represented), ideas or concepts (sets of terms), instances of identified objects or phenomena, categories (sets of instances), documents. Ontologies are solely dedicated to the validity and internal consistency of the representations. Not being concerned with external validity, As they are not meant to support empirical purposes. Yet, assuming a distinction between epistemic levels, ontologies can be used to support both internal and external consistency of models. That makes models a refinement of ontologies as they are meant to be externally consistent and serve a purpose. As championed by a brave writer, should we see the Web as a crib for born again narratives, or as a crypt for redundant texts. Borrowing from Einstein, “the only reason for time is so that everything doesn’t happen at once.” That befits narratives: whatever the tale or the way it is conveyed, stories take time. Even if nothing happens, a story must be spelt in tempo and can only be listened to or read one step at a time. Stories have been told before being written, which is why their fabric is made of words, and their motifs weaved by natural languages. So, even if illustrations may adorn printed narratives, the magic of stories comes from the music of their words. To enjoy a story, listeners or readers are to detach their mind from what they believe about reality, replacing dependable and well-worn representations with new and untested ones, however shaky or preposterous they may be; and that has to be done through an act of will. Stories are make-beliefs: as with art in general, their magic depends on the suspension of disbelief. But suspension is not abolition; while deeply submerged in stories, listeners and readers maintain some inward track to the beliefs they left before diving; wandering a cognitive fold between surface truths and submarine untruths, they seem to rely on a secure if invisible tether to the reality they know. On that account, the possibility of an alternative reality is to transform a comforting fold into a menacing abyss, dissolving their lifeline to beliefs. That could happen to stories told through the web. Assuming time rendering, stories were not supposed to be affected by medium; that is, until McLuhan’s suggestion of medium taking over messages. Half a century later internet and the Web are bringing that foreboding in earnest by melting texts into multimedia documents. Tweets and Short Message Services (SMS) offer a perfect illustration of the fading of text-driven communication, evolving from concise (160 characters) text-messaging to video-sharing. That didn’t happen by chance but reflects the intrinsic visual nature of web contents, with dire consequence for texts: once lording it over entourages of media, they are being overthrown and reduced to simple attachments, just a peg above fac-simile. But then, demoting texts to strings of characters makes natural languages redundant, to be replaced by a web Esperanto. With medium taking over messages, and texts downgraded to attachments, natural languages may lose their primacy for stories conveyed through the web, soon to be replaced by the so-called “semantic web”, supposedly a lingua franca encompassing the whole of internet contents. As epitomized by the Web Ontology Language (OWL), the semantic web is based on a representation scheme made of two kinds of nodes respectively for concepts (squares) and conceptual relations (circles). Concept nodes are meant to represent categories specific to domains (green, right); that tallies with the lexical level of natural languages. Semantically neutral constructs to be applied uniformly across domains; that tallies with the syntactic level of natural languages (blue, left). Domain specific relationships between concepts; that tallies with the semantic level of natural languages (green, center). The mingle of generic (syntactic) and specific (semantic) connectors induces a redundant complexity which grows exponentially when different domains are to be combined, due to overlapping semantics. Natural languages typically use pragmatics to deal with the issue, but since pragmatics scale poorly with exponential complexity, they are of limited use for semantic web; that confines its effectiveness to silos of domain specific knowledge. But semantic silos are probably not the best nurturing ground for stories. Texts have no status of their own on the web, but only appear as part of documents, a media among others. Stories can bypass web practice by being retrieved before being read as texts or viewed as movies; but whenever they are “browsed” their intrinsic time-frame and tempo are shattered, and so is their music. If lying can be seen as an inborn human cognitive ability, it cannot be separated from its role in direct social communication; such interactive background should also account for the transient beliefs in fictional stories. But lies detached from a live context and planted on the web are different beasts, standing on their own and bereft of any truth currency that could separate actual lies from fictional ones. Hyper-links are part and parcel of internet original text processing. But as far and long as stories go, introducing links (hardwired or generated) is to hand narrative threads over to readers, and by so transforming them into “entertextment” consumers. Machine learning can do wonders mining explicit and implicit meanings from the whole of past and present written and even spoken discourses. But digging stories out is more about anthropology or literary criticism than about creative writing. As for the semantic web, it may work as a cobweb: by getting rid of pragmatics, deliberately or otherwise, it disables narratives by disengaging them from their contexts, cutting them out in one stroke from their original meaning, tempo, and social currency. Curiously, what the web may do to stories seems to reenact a philosophical project which gained some favor in Europe during the second half of the last century. To begin with, the deconstruction philosophy was rooted in literary criticism, and its objective was to break the apparent homogeneity of narratives in order to examine the political, social, or ideological factors at play behind. Soon enough, a core of upholders took aim at broader philosophical ambitions, using deconstruction to deny even the possibility of a truth currency. With the hindsight on initial and ultimate purposes of the deconstruction project, the web and its semantic cobweb may be seen as the stories nemesis. Turning thoughts into figures faces the intrinsic constraint of dimension: two dimensional representations cannot cope with complexity. Nodes in maps (aka roots, handles, …) are meant to anchor thinking threads. Given that human thinking is based on the processing of symbolic representations, mind mapping is expected to progress wide and deep into the nature of nodes: concepts, topics, actual objects and phenomena, artifacts, partitions, or just terms. It must be noted that these archetypes are introduced to characterize symbolic representations independently of domain semantics. Nodes in maps can then be connected as children or siblings, the implicit distinction being some kind of refinement for the former, some kind of equivalence for the latter. While such a semantic latitude is clearly a key factor of creativity, it is also behind the poor scaling of maps with complexity. References connect nodes as terms. Associations: connect nodes with regard to their structural, functional, or temporal proximity. Analogies: connect nodes with regard to their structural or functional similarities. Extensional semantics deal with categories of actual instances of objects or phenomena. Intensional semantics deal with specifications of objects or phenomena. Maintenance Process is extensional (identified phenomena), Operation is intensional (specifications). Reservation and Driver are symbolic representations (intensional), Person is extensional (identified instances). It must be reminded that whereas the choice is discretionary and contingent on semantic contexts and modeling purposes (‘as-it-is’ vs ‘as-it-should-be’), consequences are not because the choice is to determine abstraction semantics. For example, the records for cars, drivers, and reservations are deemed intensional because they are defined by business concerns. Alternatively, instances of persons and companies are defined by contexts and therefore dealt with as extensional descriptions. Thinking can be characterized as a balancing act between making distinctions and managing the ensuing complexity. To that end, human edge over other animal species is the use of symbolic representations for specialization and generalization. Strong inheritance deals with instances: specialization define subsets and generalization is defined by shared structures and identities. Weak inheritance deals with specifications: specialization define sub-types and generalization is defined by shared features. Intension and weak inheritance: environments (extension) are partitioned according to regulatory constraints (intension); specialization deals with subtypes and generalization is defined by shared features. Extension and strong inheritance: cars (extension) are grouped according to motorization; specialization deals with subsets and generalization is defined by shared structures and identities. Intension and strong inheritance: corporate sub-type inherits the identification features of type Reservation (intension). Mind maps built on these principles could provide a common thesaurus encompassing the whole of enterprise data, information and knowledge. Data provide the raw input, without clear structures or semantics (terms or aspects). Categories are used to process data into information on one hand (extensional nodes), design production systems on the other hand (intensional nodes). Abstractions (concepts) makes knowledge from information by putting it to use. Enterprise architects would look at physical environments, business processes, and functional and technical systems architectures. As demonstrated by geographic information systems, maps built on clear semantics can be combined to serve a wide range of purposes; furthering the analogy with geolocation assistants, layered mind maps could be annotated with punctuation marks (e.g ?, !, …) in order to support problem-solving and decision-making. European Union’s General Data Protection Regulation (GDPR), to come into effect this month, is a seminal and momentous milestone for data privacy . Yet, as reported by Reuters correspondents, European enterprises and regulators are not ready; more worryingly, few (except consultants) are confident about GDPR direction. Regulating privacy rights represents a very ambitious leap into a digital space now at the core of corporate business strategies. Compliance will not be put under a single authority but be overseen by an assortment of national and regional authorities across the European Union. On that account, ontologies appear as the best (if not the only) conceptual approach able to bring contexts (EU nations), concerns (business vs privacy), and enterprises (organization and systems) into a shared framework. A workbench built with the Caminao ontological kernel is meant to explore the scope and benefits of that approach, with a beta version (Protégé/OWL 2) available for comments on the Stanford/Protégé portal using the link: Caminao Ontological Kernel (CaKe_GDPR). Concepts upholding businesses, organizations, and regulations. Documentation with regard to contexts and statutory basis. Moreover, as for most projects affecting enterprise architectures, carrying through GDPR compliance is to involve continuous, deep, and wide ranging changes that will have to be brought off without affecting overall enterprise performances. Ontologies arguably provide a conclusive solution to the problem, if only because there is no other way to bring code, models, documents, and concepts under a single roof. That could be achieved by using ontologies profiles to frame GDPR categories along enterprise architectures models and components. To begin with, GDPR defines ‘personal data’ as “any information relating to an identified or identifiable natural person (‘data subject’)”. Insofar as logic is concerned that definition implies an equivalence between ‘data’ and ‘information’, an assumption clearly challenged by the onslaught of big data: if proofs were needed, the Cambridge Analytica episode demonstrates how easy raw data can become a personal affair. Ideally, a formal and functional distinction should be maintained between data and information, the former tied to transient observations of external instances, the latter defined by the categories of managed surrogates. Failing an enshrined distinction between data (directly associated to instances) and information (set according to categories or types), an ontological level of indirection should be managed between regulatory intents and the actual semantics of data as managed by information systems. Once lexical ambiguities set apart, the question is not so much about the data bases of well identified records than about the flows of data continuously processed: if identities and ownership are usually set upfront by business processes, attributions may have to be credited to enterprises know-how if and when carried out through data analytics. Given that the distinctions are neither uniform, exclusive or final, ontologies will be needed to keep tabs on moves and motives. OWL 2 constructs (cf annex) could also help, first to map GDPR categories to relevant information managed by systems, second to sort out natural data from nurtured knowledge. Given footprints of personal data, the objective is to ensure the transparency and traceability of the processing activities subject to compliance. Setting apart (see below for events) specific add-ons for notification and personal accesses, charting compliance footprints is to be a complex endeavor: as there is no reason to assume some innate alignment of intended (regulation) and actual (enterprise) definitions, deciding where and when compliance should apply potentially calls for a review of all processing activities. After taking into account the nature of activities, their lawfulness is to be determined by contexts (‘purpose limitation’ and ‘data minimization’) and time-frames (‘accuracy’ and ‘storage limitation’). And since lawfulness is meant to be transitive, a comprehensive map of the GDPR footprint is to rely on the logical traceability and transparency of the whole information systems, independently of GDPR. That is arguably a challenging long-term endeavor, all the more so given that some kind of Chinese Wall has to be maintained around enterprise strategies, know-how, and operations. It ensues that an ontological level of indirection is again necessary between regulatory intents and effective processing activities. Along that reasoning compliance categories, defined on their own, are first mapped to categories of functionalities (e.g authorization) or models (e.g use cases). Compliance categories are associated upfront to categories of functionalities (e.g authorization) or models (e.g use cases). Then, actual activities (e.g “rateCustomerCredit”) can be progressively brought into the compliance fold, either with direct associations with regulations or indirectly through associated models (e.g “ucRateCustomerCredit” use case). Clarify the logical or functional dependencies between processing activities subject to compliance. Draw equivalence, logical, or functional links between compliance alternatives. That is to deal with the functional compliance of processing activities; but the most far-reaching impact of the regulation may come from the way time and events are taken into account. As noted above, time is what makes the difference between data and information, and setting rules for notification makes that difference lawful. Moreover, by adding time constraints to the notifications of changes in personal data, regulators put systems’ internal events on the same standing as external ones. That apparently incidental departure echoes the immersion of systems into digitized business environments, making all time-scales equal whatever their nature. Such flattening is to induce crucial consequences for enterprise architectures. That shift together with the regulatory intent are best taken into account by modeling events as changes in expectations, physical objects, processes execution, and symbolic objects, with personal data change belonging to the latter. Are set in time-frames, possibly overlapping. Have notification constraints properly documented. Have likelihood and costs of potential risks assessed. As with data and activities, OWL 2 constructs are to be used to qualify compliance requirements. GDPR introduces two specific categories of actors (aka roles): one (data subject) for natural persons, and one for actors set by organizations, either specifically for GDPR assignment, or by delegation to already defined actors. OWL 2 can then be used to detail how regulatory roles can be delegated to existing ones, enabling a smooth transition and a dynamic adjustment of enterprise organization with regulatory compliance. It must be stressed that the semantic distinction between identified agents (e.g natural persons) and the roles (aka UML actors) they play in processes is of particular importance for GDPR compliance because who (or even what) is behind an actor interacting with a system is to remain unknown to the system until the actor can be authentically identified. If that ontological lapse is overlooked there is no way to define and deal with security, confidentiality or privacy regulations. The use of ontologies brings clear benefits for regulators, enterprise governance, and systems architects. Without shared conceptual guidelines chances are for the European regulatory orchestra to get lost in squabbles about minutiae before sliding into cacophony. With regard to governance, bringing systems and regulations into a common conceptual framework is to enable clear and consistent compliance strategies and policies, as well as smooth learning curves. With regard to architects, ontology-based compliance is to bring cross benefits and externalities, e.g from improved traceability and transparency of systems and applications. Equivalence: GDPR and enterprise definitions coincide. Logical intersection, union, complement: GDPR categories defined by, respectively, a cross, merge, or difference of enterprise definitions. Qualified association between GDPR and enterprise categories. Logical property restrictions, using existential and universal quantification. Functional property restrictions, using joints on attributes values. Other constructs, e.g cardinality or enumerations, could also be used for specific regulatory constraints. GDPR can be mapped to systems capabilities using well established Zachman’s taxonomy set by crossing architectures functionalities (Who,What,How, Where, When) and layers (business and organization), systems (logical structures and functionalities), and platforms (technologies). Such mapping is to significantly enhance the transparency of regulatory policies.